Kyrsten Sinema, the apparent winner in Arizona's Senate race, is the first Democrat to win that vote for decades. She will become the first woman to ever represent Arizona in the U.S. Senate. She is also the first openly bisexual person ever elected to the U.S. Senate. That's a lot of firsts. Sinema's win was called late in the day by Associated Press on Monday November 12. Election day was Tuesday, November 6. She gave a speech accepting the win around 830pm Eastern time. Here's a screengrab. Democrats now control 47 Senate seats. Republicans control 51. At least 2 races have not yet been called. Sinema, 42, faced a contentious race as a centrist Democrat candidate running against Republican Martha McSally. She will assume the seat being vacated by Jeff Flake. Here is Martha McSally's concession. Ms. Sinema’s victory over Martha McSally, a Republican congresswoman and former Air Force pilot, marks the first Democratic triumph since 1976 in a battle for an open Senate seat in Arizona. Ms. Sinema takes the seat being vacated by Jeff Flake, a Republican who retired after publicly clashing with President Trump. The win by Ms. Sinema points to a remarkable shift in Arizona’s political landscape. That state has been a Republican bastion for decades, but Democrats are seizing on dissatisfaction with budget cuts and growing unease over the Trump administration’s immigration crackdown to make inroads with moderate voters. Voter drives to register more Latinos, who generally vote Democratic in Arizona, appear to have paid off for Ms. Sinema. About 2.1 million Latinos live in Arizona, about a third of the state’s population; while Mr. Trump narrowly carried the state in the 2016 election, many Latinos in the state have expressed displeasure with the president. HAPPENING NOW:@kyrstensinema expected to address supporters after she’s declared the winner of the #AZSenate race. 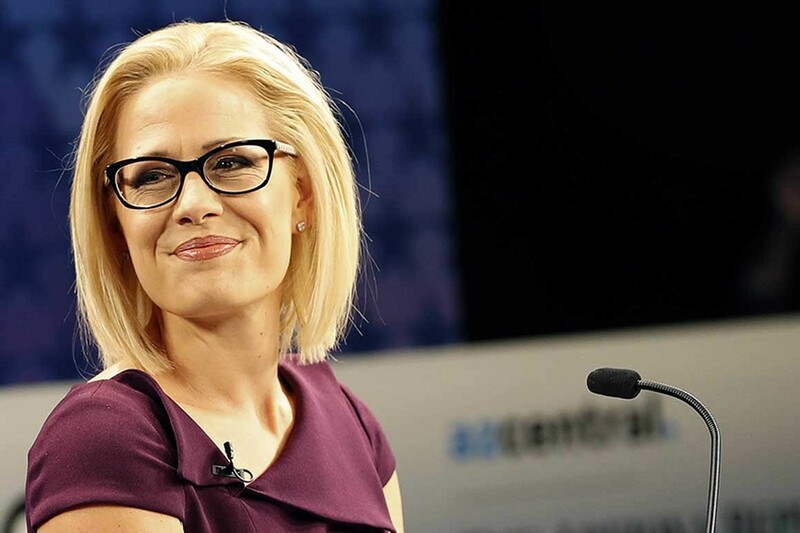 Sinema is first woman to be elected to represent Arizona in US Senate and is the first Democrat to win Senate seat in AZ since Dennis DeConcini in 1988.